Do you need the cleanest air possible? A MERV 13 rating is perfect for those with severe allergies or elevated dust issues. 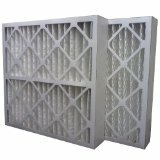 Designed to balance efficiency and airflow rate so that you do not have to settle for a lower rating to achieve the clean air you desire! 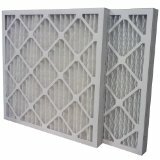 In addition to capturing common allergens such as mold spores, pollen, and pet dander, MERV 13 pleated filters will also capture attached viruses, pollution, bacteria, and tiny sub-pollen particles that can reach the lower airways. Recommended to change every 3 months.